At Bizarre Bushwick, 12 Jefferson Street, Bushwick. 10pm. $10 suggested donation. More info here. Fire is normally regarded as a bad thing to be around, especially with the added element of drunk people at a bar. But don’t forget, Bizarre isn’t your average bar. 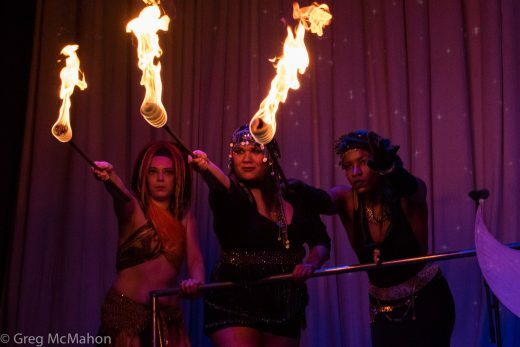 I’ve seen my fair share of fire performances there, whether it be fire eating, fire breathing, fire dancing, or just someone who looked really hot. Miraculously, I felt safe for almost all of them. Tonight, you can see all that and probably more at this variety show that’s more fiery than average, in the most literal sense of the word. And don’t worry, these are professionals, so the only thing catching fire (aside from what’s regularly scheduled to) will hopefully be your heart.